Statement By H.E. Hon. 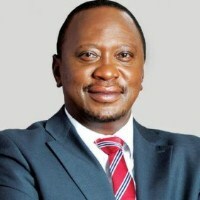 Uhuru Kenyatta On The Nomination Of Amb. Dr. Amina C. Mohamed As Chairperson Of The African Union Commission - The Embassy of The Republic of Kenya, Addis Ababa, Ethiopia. In 2013, I appointed Ambassador Dr. Amina C. Mohamed, Cabinet Secretary in the Ministry of Foreign Affairs and International Trade. Amb. Mohamed has steered our diplomatic engagement to greater heights. We have benefitted tremendously from regional and international engagements of national and continental significance.